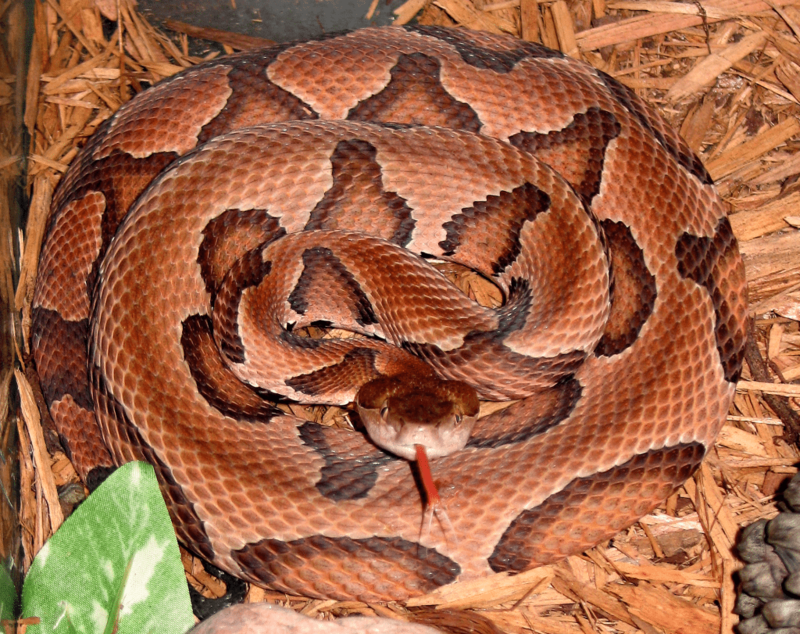 The Copperhead Snake (Agkistrodon contortrix) is shorter than both the Coral snake and the Cottonmouth snake. It is the most often encountered snake in Eastern parts of the United States such as Alabama, Missouri and Arkansas. Copperhead snakes are responsible for the most venomous snake bites in the USA. Find out more!